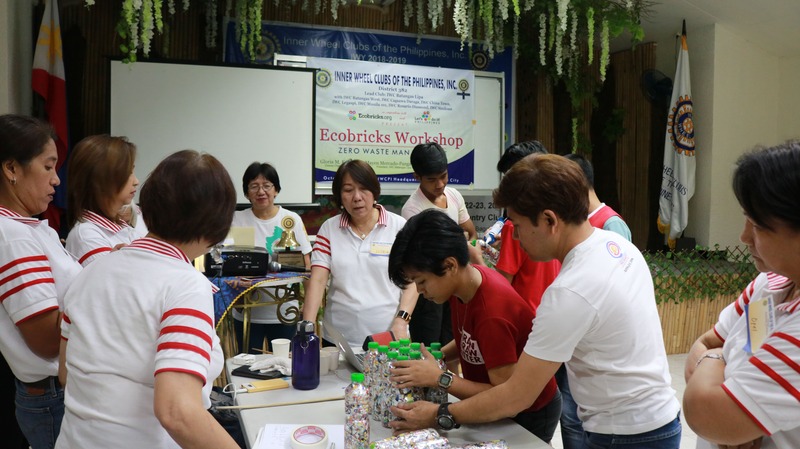 One of the advocacies of the Inner Wheel Clubs of the Philippines is Zero Waste Management. District 382 headed by Gloria Kaw, with the lead club IWC BatangasLipa led by Mayen Mercado-Panganiban and IWC Batangas West, IWC CagsawaDaraga, IWC Chinatown, IWC Legaspi, IWC Manila 101, IWC Rosario Diamond and IWC Siniloan conducted an Ecobricks Seminar last October 13, 2018 at the IWCPI Headquarters. Our gracious National President, Donna Jiao, also attended the said event.Aside from the representatives from the different clubs of District 382, selected students from Jose Abad Santos High School participated in the workshop. Our partners from Ecobricks Philippines and Let’s Do It Philippines, thru their representatives, Rosalie Fuentes and Glenda Damias explained on how Ecobricks can be a solution to plastic pollution. The participants were taught on how to make Ecobricks, how to use the Gobrik app and how to make an Ecobricks module. The main purpose of this workshop is to “maximise community empowerment and the raising of ecological consciousness”. Through this workshop, participants learned the advantages and disadvantages of plastics and a solution to solve the problem of ineffective waste managements through ecobricking. 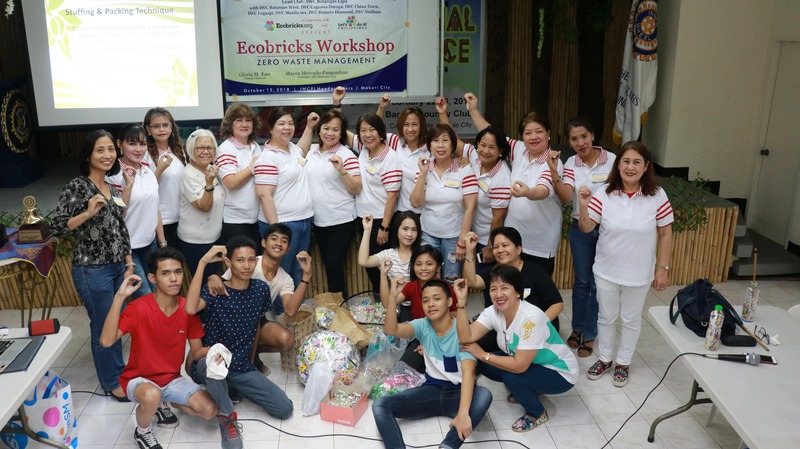 The workshop culminated with the group coming up with its hexagon Ecobricks (which can be used as stool or table) and the awarding of the 10 top heaviest Ecobricks. District 382 intends to disseminate this project to the different clubs and organizations in their respective areas.